192GB SSD 2TB 7200 rpm Hard with HP ProtectSmart Hard Drive Protection. Hard Drive 192GB SSD 2TB 7200rpm SATA Hard Drive. Lenovo 700-27ISH 27.0" Touch-Screen All-in-One PC. 16GB DDR4-2133MHz SODIMM (2 dimm). With WiFi 802.11 a/c and Bluetooth® 4.0 connectivity options, it's a powerful way to stream audio and video to every device in the house. 256GB SSD (Solid State Drive). Coming in at about the size of a pencil at its thinnest point, the 520S is both sleek and elegant—at a price you can afford. HP EliteOne 800 G1. Quad Core i7 3.10 GHz. HP USB Keyboard. HP USB Optical Mouse. 23" Screen. All in One. 16GB DDR4-2400MHz SODIMM (2 dimm). HP Pavilion 27-R119. Hidden Recovery Partition installed in HDD. External Ports : 2 x USB 2.0 2 x USB 3.0 (3.1 Gen 1) Type-A 1 x USB 3.0 (3.1 Gen 1) Type-C 2 x HDMI (in&out) 1 x RJ-45 1 x Combo headphone / mic port. Trending at $1,352.65eBay determines this price through a machine learned model of the product's sale prices within the last 90 days. Hard Drive 1TB 7200rpm SATA Hard Drive. HP keyboard and mouse. HP 22-c0063w 21.5" All-in-One PC. HP 22-c0063w. 1 year warranty through HP (valid in USA only). Product Number HP 22-c0063w All-in-One. We keep serials numbers of our products. Note the hard drive is getting tired a good deal of hours loged in . wireless hp key board and logictech mouse. belden easy transfer cable model fsu279. works great right now. ms 2007 full office installed. I will do my best to resolve your problem. By opening a case will take much longer to solve any problem. What you see is what you get. Windows needs to be updated before use! Tested to m ake sure 100% working. With WiFi 802.11 a/c and Bluetooth® 4.0 connectivity options, it's a powerful way to stream audio and video to every device in the house. Coming in at about the size of a pencil at its thinnest point, the 510S is both sleek and elegant—at a price you can afford. Serial number is 7C019265Q which can be looked up through Toshiba. Can be set up with Windows 10 if you so wish. Computer is running on. 128GB SSD 1TB 5400 rpm Hard with HP ProtectSmart Hard Drive Protection. Lenovo 910-27ISH 27.0" Touch-Screen All-in-One PC. Hard Drive 128GB SSD 1TB 5400rpm SATA Hard Drive. 16GB DDR4-2133MHz SODIMM (2 dimm). 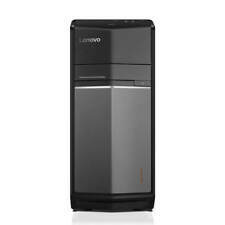 Lenovo c540 all in one touchscreen pc. Condition is Used. CD/DVD drive is broken. I sent a compatible one to be installed. 4 GB DDR3 1 TB HDD. NO VAIO BLOATWARE INSTALLED. MS SECURITY ESSENTIALS INSTALLED. RECOVERY DISCS. INTERNAL OPTICAL DRIVE DOES NOT WORK. UNIT HAS MINOR CASE SCUFFS AND SCRATCHES, SCREEN HAS NO DEFECTS. KEYBOARD AND MOUSE SHOWS MINOR USE WEAR. 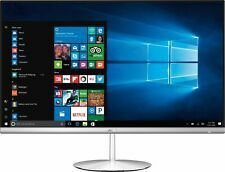 NEW Lenovo 730S-24IKB 23.8" Touch-Screen All-In-One (i7-8550U, 8GB, 1TB) GrayF0DY000NUS. 1TB hard drive for ample file storage space. Connects to your network on all current Wi-Fi standards. Gigabit Ethernet LAN port plugs into wired networks. HP White All in One PC 21.5" 2Ghz 4GB 1TB WiFi AC W10. Bought for a new job and didn’t like the job. My loss is your game. Comes in original box and shipped ASAP, Shipped with USPS Priority Mail. 1TB 7200RPM SATA Hard Drive. AMD A8-7410 Processor at 2.2GHz. 8GB DDR3L (1-DIMM) RAM. AMD Integrated Radeon R5 Graphics. HP Webcam with Dual array digital microphones. HP USB white wired keyboard and USB white wired optical mouse. Display 27" 4K UHD (3840x2160) 60Hz Non-Touch Display with a Fixed Stand. Hard drive 2TB (5400rpm). State solid drive 32GB SSD. Video Card AMD Radeon RX570 8GB GDDR5 VR-Ready. In the box all in one, power cable, DELL wireless keyboard, DELL wireless mouse KM636. Hp pavilion model 22-A113W. Tested working. Only desktop does not include mouse, keyboard, or power cord. ASUS Zen AiO ZN242GDT. Work and play harder with this Asus Zen all-in-one computer. Powerful six-core, twelve-way processing performance. ASUS WebStorage, AntiVirus software. Allow freedom of motion during use and help reduce desktop cable clutter. Hidden Recovery Partition installed in HDD. HP Pavilion 24-R159C 23.8" Touch-Screen All-in-One PC. External Ports : 3 x USB 3.0 2 x USB 2.0 1 x Combo HDMI in-out 1 x Microphone/earphone combo jack. Brand New in Original Box HP Touch All in One PC 23.8 inch Full HD Touch Display AMD A8-7410 Processor 8 GB Memory 1 TB Hard Drive Windows 10 Please ask all questions before bidding. All sales are final! Model Number GUA3120CPG. The 8GB of RAM allows you to run multiple system operations with no compromise in reliability, performance or speed. 3.50GHz AMD FX-6300 6-Core Processor. AMD Radeon R7 240 2GB. SLEEK ALL-IN-ONE: The Lenovo IdeaCentre AIO 520S is as compact and sleek as it is elegant. 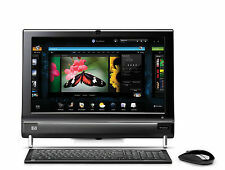 HP TouchSmart 600-1050 All-In-One w/ Intel core 2 duo t6500, 4GB RAM, 750GB HDD. Condition is Used. Touch screen. Good working condition. Personally own . Just don't used very much. Everything work perfectly. Come with the original charger and bluetooth keyboard. No mouse . Window 10. Has done the manufacture reset . 23" HP Touchsmart 610 All in One touchscreen computer. Built in Beats Audio speaker bar along bottom of screen with enhanced Bass. HDMI, video,AUX. 6 USB ports. • (2) - HP PAVILION ALL-IN-ONE MS200 AMD ATHLON II X2 260 1.8GHZ 2GB 250GB DESKTOP COMPUTER AIO PC. Hard drive has been erased and vigorously tested to have all good sectors. There is no information or data on the drive. 500GB Serial ATA hard drive (7200 rpm). 4GB DDR3 SDRAM. I did use the keyboard and mouse. Keyboard- clean, but one of the pegs that help it stand up is missing. 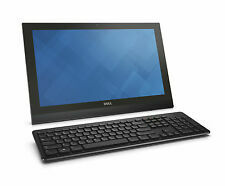 Features a 21.5" high-definition widescreen display for crisp, clear images in 1080p resolution. Includes a full Microsoft Office Professional Plus 3 CD set. This All-in-one computer has been refurbished by our professional technicians. Every component of this computer has been tested. It is in an excellent doncitions. 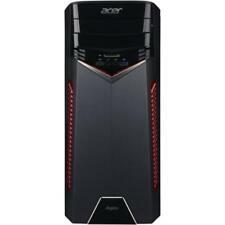 - CPU PROCESSOR : AMD X2 DUAL CORE. Panel mount Computer + Touchscreen ESA XS717SP421022. XWIN7u00ML1. Processor: Pentium Dual-Core E5800 @ 3.20GHz. Dell Inspiron 560. Hard Drive: 1000GB Seagate ST1000DM003. 041519 - 0323. With its ergonomic design, the ET2300 provides versatile screen angles to match diverse professional scenarios so you get more achieved effortlessly. ASUS ET2300 Demo. The ET2300 features ASUS's SonicMaster technology which, together with MAXXAUDIO professional audio processing, creates smooth, rich and detailed sound in music, movies, gaming, speech and recording. Working conditions, a few minor drapes. 4GB DDR4-2400MHz SODIMM (1 dimm). HP Pavilion 24-XA0053w 23.8" Touch-Screen All-in-One PC. HP Pavilion 24-XA0053w. Hidden Recovery Partition installed in HDD. External Ports : 3 x USB 3.1 2 x USB 3.1 Type C 1 x Combo HDMI in-out 1 x Microphone/earphone combo jack. Best computer I’ve ever owned. It’s sleek and compact. Lenovo IdeaCentre All-in-One 520S 23 inch Full HD Touchscreen Desktop Computer. Condition is Used. Shipped with USPS Priority Mail. Good, working condition HP Compaq dc7900 Computer Desktop. - 80GB HDD. Therefore, we do not have record of item history or type of use. Sony All-In-One VPCJ115FX touche screen. This item not check Blu-ray because i don't have Blu-ray dish.